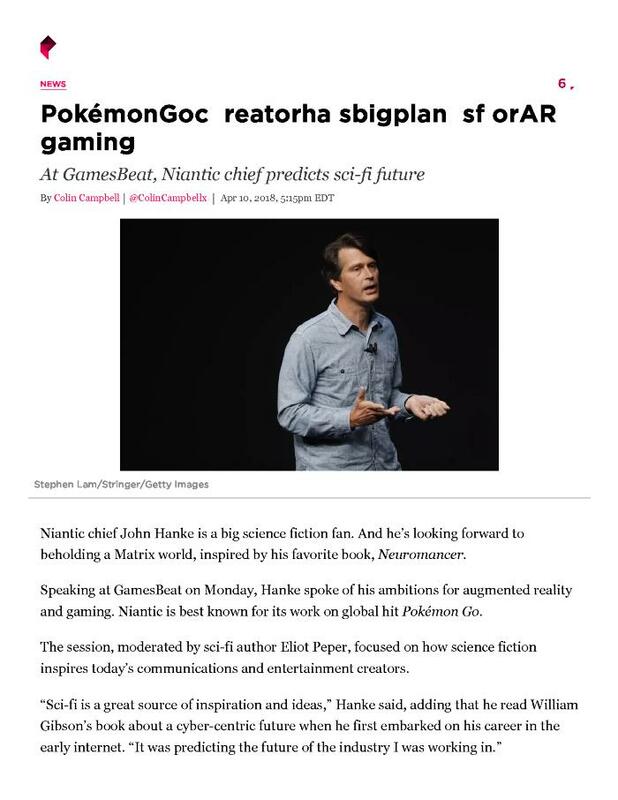 "Niantic chief John Hanke is a big science fiction fan. And he’s looking forward to beholding a Matrix world, inspired by his favorite book, Neuromancer. Speaking at GamesBeat on Monday, Hanke spoke of his ambitions for augmented reality and gaming. Niantic is best known for its work on global hit Pokémon Go."